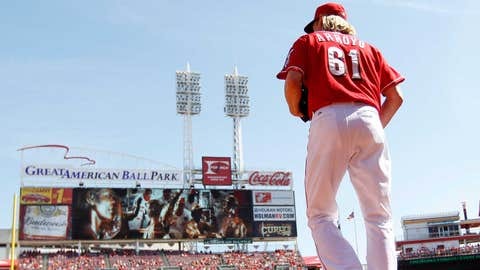 Former Reds starting pitcher Bronson Arroyo is finding out that free agency isn't all it's cracked up to be. Spring Training is only a few weeks away and free agent pitcher Bronson Arroyo still doesn’t know which team he’ll be reporting to. 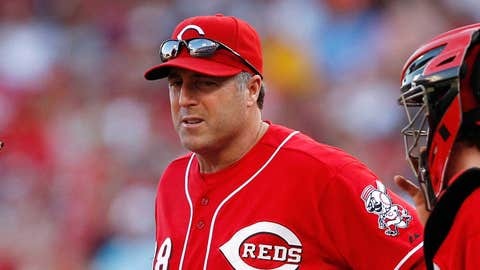 The former Cincinnati Reds starter recently voiced his frustrations about the lack of offers he’s received this offseason, saying he doesn’t understand why others have jobs and he remains unemployed. "I get why [Kershaw] got all that money. But then you’ve got guys like Dice-K [Matsuzaka], who came over here and was good for the first couple years but then didn’t pan out. And when he doesn’t pan out, they all just forget and go on to the next guy who’s not proven, and pay him. "Meanwhile, they forget about guys like me, who have done the job for the last eight or 10 years, and treat them like they’ve never done anything in this game. That’s hard, man." Arroyo said that out of the 12 teams that have shown interest in him, not a single one has made an offer. "I don’t even have an offer to turn down," he said. "So I might still be sitting here on March 1. I have no idea." There’s a long list of teams rumored to have interest in Arroyo, including the Philadelphia Phillies, Baltimore Orioles, Los Angeles Dodgers, Seattle Mariners, LA Angels and Pittsburgh Pirates, to name a few. The Minnesota Twins were reportedly "very interested" in Arroyo earlier this offseason, but chose to re-sign Mike Pelfrey instead. The Reds, who Arroyo spent the past eight seasons with, met with him but decided to move forward without him. "We wanted to let some time pass and he wanted to check the market and stuff. We told him we wanted to meet with him again and see where they’re at and see if we can still do something," Reds GM Walt Jocketty said of Arroyo during the Winter Meetings. "I don’t know if we’ll do anything, but we wanted to at least meet with him because he’s been with us for so long and he’s been such a big part of our success that we thought it was important at least to talk to him again before anything happened." While the Reds clearly have a lot of respect for Arroyo, both professionally and personally, his asking price doesn’t fit within their budget. Arroyo is reportedly seeking a three-year deal, around the $30 million range. "I don’t know what to do," Arroyo told Stark. "I’m not trying to break the bank. But I am a guy who’s performed for the last 10 years as consistently as anybody in the game. And for some reason, nobody’s thrown me an offer yet." Despite being one of the most durable pitchers in baseball (he has never once been on the disabled list), one AL executive told Stark that Arroyo’s age could be a big reason why teams are shying away. "I’m not surprised that he doesn’t get it, because I don’t get it, either," the AL executive old Stark. "I guess people are concerned about his age. He’s 37, but going on 27. He’s got a loose, limber body. He’s never been on the DL. He never misses a start. He doesn’t cost you a draft pick. He’s a tremendous teammate. He’s helped a lot of young pitchers on his team. So I don’t understand it. I really don’t."